Several nationalist groups converged today in the Balagtas Hall of the Polytechnic University of the Philippines (PUP) at Sta. Mesa, Manila in a forum intensifying calls to scrap the Enhanced Defense Cooperation Agreement (EDCA) entered upon into by Manila and Washington on the day of President Barack Obama’s state visit to the Philippines last April. Dubbed ‘US Military Bases, Back with a vengeance through the EDCA,’ the forum, which coincides with the anniversary of the historic rejection of the Philippine-US Military Bases Agreement by the former’s Senate, discussed all aspects of the EDCA. Historical perspective of the protests regarding the US bases in the country, to the legal nitty gritty of EDCA, and even tackling about an independent foreign policy, the forum was attended by people from the academe, former legislators, members of militant organizations, and civic groups. 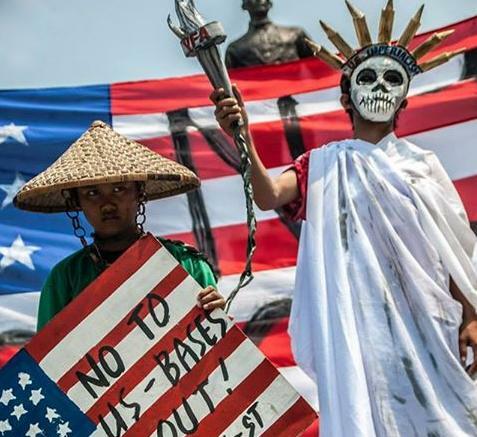 Former Bayan Muna solon and now a focal person of militant umbrella organization Bayan, Teddy Casino explained the relationship of the Philippines and US ever since the Phil-American War. He also shared his experiences during the campaign against the US Bases Agreement to which he actively participated in lobbying to Senators to abrogate the said agreement. The former legislator also said that the claims of the United States in attempting to retain their bases in the Philippines then and now are still the same. Citing Manila and Washington’s common interest, economic gains for the Philippines, and a secure guardian against the ‘threat’ of the now defunct Soviet Union and the emerging China. But, he added that those claims are all but false guarantees as those were already debunked then. The lady lawyer also added that EDCA even violates the 1987 Constitution as it puts a de facto US bases in the whole country without a pact signed by both Senates of the two nations involved. EDCA was signed by Defense Secretary Voltaire Gazmin for Manila and Ambassador Philip Goldberg for Washington hours before the arrival of President Obama in the Philippines and as part of the US pivot to Asia. Former Senator and sister of former President Fidel Ramos, Leticia Ramos-Shahani also shared her insights inthe forum regarding EDCA and an independent foreign policy. Also in attendance was actor and TV host Robin Padilla. 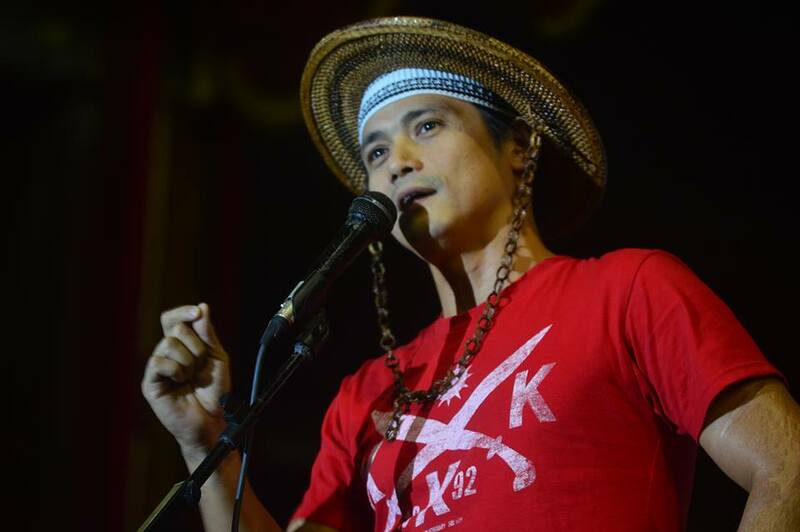 Sporting a Katipunan-inspired shirt and hat, the showbiz personality went to the stage and talked about how EDCA “tramples” the country’s sovereignty. “Mayaman ang Pilipinas, pagdating ng Kastila ninakawan tayo, dumating ang Hapon ninanakawan na naman tayo. Ngayon tayo ay baying multi-kultural ninanakawan pa rin tayo, at ngayon eto pa, kumuha pa ng resbak,” Padilla said in Filipino as he alludes to the government, which he believes is stealing from the public coffers but has not sufficed and called for ‘reinforcement’ which is the US through EDCA. Former Gabriela Womens’ Partylist Representative Liza Maza also graced the event, and remembered former Senator Lorenzo Tanada who was a part of the 12 senators who voted for the abrogation of the US Bases Agreement more known as the “Magnificent 12,” by naming a series of forum-discussion after the nationalist senator who received a standing ovation from the Senate after the historic vote to end the lease of bases to the United States. Bagong Alyansang Makabayan (BAYAN) together with Alliance of Concerned Teachers, Gabriela, We Govern Institute and the PUP Center for Public Administration and Governance organized the forum.